From elicitation, pretexting, influence and manipulation allaspects of social engineering are picked apart, discussed andexplained by using real world examples, personal experience and thescience behind them to unraveled the mystery in socialengineering. Kevin Mitnick--one of the most famous social engineers inthe world--popularized the term "socialengineering." He explained that it is much easier to tricksomeone into revealing a password for a system than to exert theeffort of hacking into the system. Mitnick claims that this socialengineering tactic was the single-most effective method in hisarsenal. This indispensable book examines a variety of maneuversthat are aimed at deceiving unsuspecting victims, while it alsoaddresses ways to prevent social engineering threats. 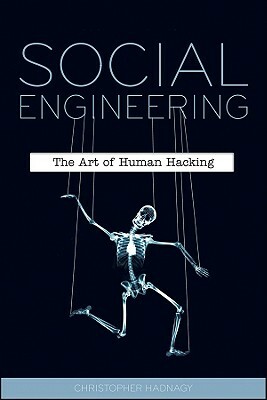 Social Engineering: The Art of Human Hacking does itspart to prepare you against nefarious hackers--now you can doyour part by putting to good use the critical information withinits pages.